Among the great nuisances of modern life, few things irritate consumers more than the high price of printer ink. If you want to see black clouds roll in, just tell someone it’s time to drive to the store, open the wallet, and purchase a new round of color cartridges. In a recent Consumer Reports printer survey, we found that having to replace ink cartridges too often was among the most common complaints, with full 28 percent of all inkjet printers needing overly frequent ink replacements, according to our members. Our testing shows that some of these printers will pump out black-and-white text for less than 1 cent per page and print color pages for 1.5 cents. It's not usual for printing with an conventional inkjet to cost six or seven times as much. There are plenty of other ways to save money on ink as well, like signing up for an ink subscription service, trying third-party ink cartridges, or even changing fonts. The following tips can help you cut down on costs. Canon and Epson say the bottles of ink included with their reservoir printers will last about two years. Once the bottles are empty, you can buy replacements for about $20 or less each. That’s beneficial in the long run, but these printers tend to cost more up front, with the least expensive models going for about $200. That’s a hard sell when you can buy one of our recommended inkjets for less than $100. But Rich Sulin, who leads CR’s printer testing program, says it’s important to consider the follow-up costs when comparing models. 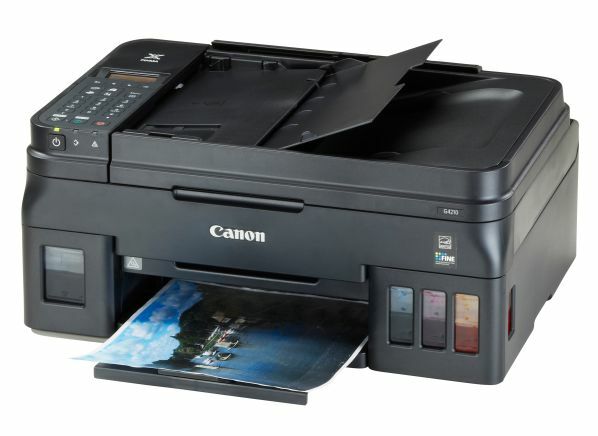 For example, the CR-recommended Canon Pixma G4210 sells for approximately $300. That might sound like a lot, but thanks to those sub-$20 bottles of ink, it's actually one of the cheapest printers you can buy in the long run. After just two years the savings are significant when you compare it with many models in our ratings that cost less up front but then quickly run through expensive ink cartridges. 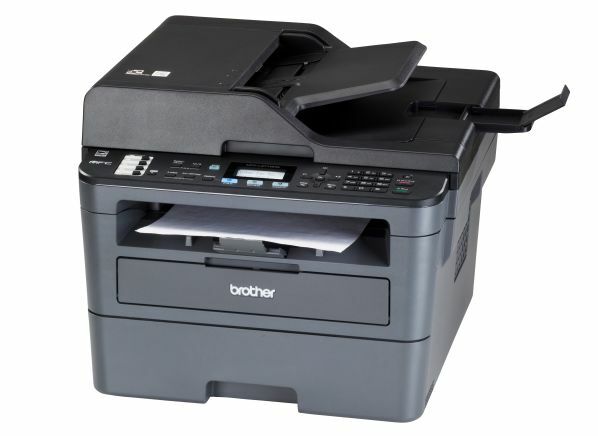 While Brother’s reservoir printers start at $170, they may cost more than the Pixma G4210 over time. 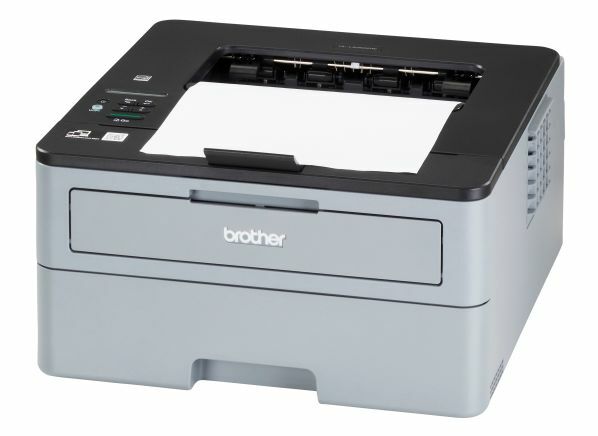 Brother’s proprietary ink-in-a-box replacement system will add an extra $56 per year, according to our tests. That puts the printer on a par with typical inkjets, Sulin says, but it’s much more expensive than the replacement ink estimates for Canon and Epson reservoir printers when you factor in the two-year life span of the bottles. One other thing to keep in mind, Sulin says: Unlike those cheap bottles of ink, Brother’s proprietary “box” may restrict you from trying third-party ink options. By leaving an inkjet printer on, you avoid triggering a maintenance cycle each time you use it. According to our test results, that can yield big savings from your ink costs because many of the printers we evaluated used as much ink to clean the print heads as they did for actual printing. When we kept the printers on, we saw a noticeable reduction in ink consumption even on some of the most ink-hogging models. Worried about the cost and environmental impact from the extra energy? Inkjets consume very little power when not in use, so your ink savings should considerably outweigh those concerns. If you own a compatible HP printer, you can sign up for HP Instant Ink, a subscription service that automatically provides ink refills when you need them. The monthly fee is based on the number of pages you print, not how much ink you use. Whether you print one word or cover the sheet with dense illustrations, the cost is the same. The printer monitors your monthly page count and contacts HP to order ink refills when you run low. Yes, that means the printer is keeping tabs on you. Instant Ink offers a 15-page-per-month plan free of charge, but depending on your habits, you may need to upgrade to the paid tiers. The plans start at $3 per month for printing 50 pages and go up to $20 for 700 pages. If you go over the limit, you’re charged $1 more for each additional 10 to 20 pages, depending on your plan. The company provides prepaid envelopes to return used ink cartridges for recycling. According to HP, consumers could save 50 percent on ink costs by using the plan. Sulin says it’s a good deal if you print roughly the same number of pages each month. “I’d caution that people may overestimate how much they actually print and ‘oversubscribe’ for fear of that overage charge,” he says. One nice benefit: The plan absolves you of paying for the ink used on printer head maintenance, which can drain a cartridge faster than you’d think. Some HP printers come with a three-month trial offer. You can sign up online with HP or through retailers such as Best Buy and Staples. Canon, Epson, Best Buy, and Amazon Dash offer subscription services as well. Like HP, they employ printers that monitor ink usage and communicate with the supplier via a WiFi connection. Not all the plans are based on printed pages, though. Some simply order replacement cartridges when your ink supplies run low. That may save you a trip to the store, but it’s less flexible than the Instant Ink service and won’t solve the problem of ink wasted on maintenance. For some people, aftermarket inks provide a welcome alternative to the high-priced replacement cartridges made by printer manufacturers. Typically sold by third parties in cartridges that have been recycled and refilled, they offer significant savings. Instead of paying $31 for an HP 27 black ink cartridge on HP’s website, for example, you can purchase a compatible aftermarket cartridge from a company called LD Products for $11. Third-party inks have their downsides, though. They don’t always work well, according to Consumer Reports’ testers. At times they may even clog the printer heads, leaving visible streaks or bands in your printouts. Consumer Reports doesn’t rate third-party inks because the marketplace is so fractured—with a rapidly changing lineup of products and providers—that it makes comparisons difficult. If you decide to shop for an aftermarket ink cartridge, make sure it comes with a good satisfaction guarantee, Sulin says. Then try it out quickly, so you have time to return it if you have a problem. Lots of people rarely use their printers for much other than printing things like Amazon return labels. In those cases, you should be fine as as long as the device spits out a legible page. When the end result doesn’t have to be high-quality, use the draft mode in your printer settings. You may have to search a bit in the printer preferences tab or the print dialog box to find it, but it’s worth it. This mode not only uses less ink but also allows you to print faster. Depending on the printer type, model, and manufacturer, it could be called Toner Save, EconoMode, or Draft Quality. On a laser printer, we found the Toner Save option under the Printer Features pull-down menu in the Print dialog box. On an inkjet, we found it under the Print Quality drop-down menu, changing it from Best, the default setting, to Draft. Be sure to strip needless ads and logos from a document before printing it, too. Many websites let you select printer-friendly versions of stories, which automatically remove color ads and images, leaving you with nothing but text. If the site you’re reading doesn’t offer that option, a service such as Instapaper or Print Friendly can help you reformat the story yourself. And finally, consider using a different font. When Consumer Reports tested that idea several years ago, we got 27 percent more mileage from ink when using Times New Roman rather than Arial, a default font in many browsers. Calibri and Century Gothic both outperformed Arial as well. Of course, you can also skip the printing process altogether and save the article for future reading on a laptop, tablet, or smartphone. You might associate laser printers with home offices or small businesses—and high prices—but some black-and-white laser printers are very affordable, and they can be attractive for everyday use. Monochrome lasers tend to produce speedy, high-quality text, and they're generally more cost-efficient than inkjets. With many inkjet printers, you’ll encounter that "out of ink" message more often than you’d like, even when the color cartridges run dry but you only need to print in black. The toner used in laser printers lasts longer. As a result, the overall cost of ownership (the up-front price plus the ink or toner expenses) stays low. The cost to buy and use a printer is one of the details you can find in our printer ratings. 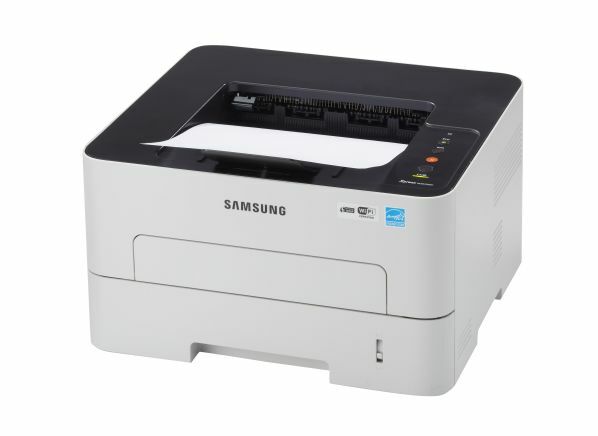 For example, the two-year cost of ownership for some of our recommended black-and-white laser printers runs between $150 and $230, according to our calculations and estimates of typical printer use. That beats the cost of ownership for some similarly priced all-in-one inkjets by more than $100. For many people, that adds up to a better experience in general. In our ratings, laser printers do far better in predicted brand reliability and owner satisfaction than inkjets. If you want a printer that's likely to work longer with fewer hassles, a black-and-white laser printer is worth considering.